UNITED NATIONS, March 23 -- When the UN Security Council referred the case of Libya to the International Criminal Court in its Resolution 1973, the United States demanded and got an exemption for citizens of countries which are not members of the ICC's Assembly of State Parties to the Rome Statute. Inner City Press first reported on this loophole, then asked US Ambassador to the UN Susan Rice if it might allow certain possible war crimes to be exempt from the ICC referral. 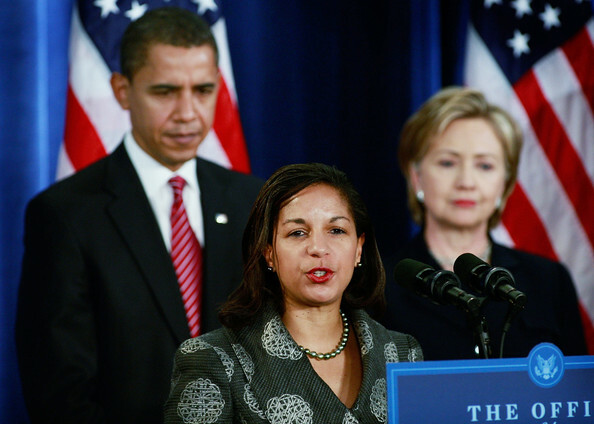 Rice responded that she doubted the ICC would go after “small” mercenaries. But now, even of the first twelve countries which have provided notice to the UN under Security Council Resolution 1973, several beyond the United States are not ICC members. That is, if they dropped bombs on civilians -- even intentionally -- they would be exempt from any referral to or prosecution by the ICC, thanks to the loophole the US demanded for itself. Both Arab countries which have provided notice, Qatar and the United Arab Emirates, are not members of the ICC, and therefore exempt from referral to the ICC. So too with Ukraine, which has provided notice (but see this other story). The UK has claimed that Kuwait will soon be joining -- but it has not joined the ICC. And while Turkey has said it will offer humanitarian help without providing UN notice, it is not a member of the ICC either. What hath the US wrought? Watch this site. UNITED NATIONS, March 23 -- Still only 12 countries are listed as having provided notice to the UN under Security Council Resolution 1973, the same number as on the morning of March 22. The number of actual “partners” may even be lower. Beyond backtracking by the United Arab Emirates, based on “the West's position on Bahrain,” a well placed Council diplomat on Wednesday morning told Inner City Press that Ukraine, despite being announced by the UN as a notifier, is primarily concerned with its own citizens. On Tuesday, after first reporting Ukraine on the Security Council's list, Inner City Press questioned how a country which took more than a month to come through with attack helicopters for the UN Mission in Cote d'Ivoire would be able to meaningfully participate in what the US is calling Operation Odyssey Dawn. While the UN's list of twelve is sometimes presented as a list of supporters of the no fly zone and even bombing, when Pressed at Wednesday's noon briefing, Secretary General Ban Ki-moon's spokesman Martin Nesirky insisted he had made it clear on Tuesday that these are only letter writers. Spokesperson Nesirky: They notified the Secretariat under the terms of the resolution. I did not say that they will be taking part in enforcing a no-fly zone; I didn’t say that... I haven’t seen their notification, the specific letter, I haven’t seen that letter. We need to be clear that each of the countries, when notifying the Secretariat and when we transmit that notification to the Security Council, that notification can take different forms. The content is not the same for each one. Each country is saying something different about what measures it is taking or simply how it is supporting the resolution. But the details of each of those would need to come from the Member States concerned...If a Member State requests that a document should be circulated, in other words, made an official document that is circulated and available, then that will be done. But I don’t know any specific case what has happened. The UN's daily Journal does on a delay include the letters, at least Ukraine's initial letter - click here. But Council sources say that Ukraine's position is not as described. Inner City Press asked Nesirky if, even belatedly, the Secretary General and his Spokesperson's Office can provide public disclosure of these letters more frequently than the day's noon briefing. When we get then, we'll tell you, Nesirky said. We'll see. Footnotes: Inner City Press asked Nesirky if Ban Ki-moon would like his briefing(s) on March 24 to teh Security Council to be public -- the one about his trip is thought to be closed door, but why shouldn't his briefing about Resolution 1973 be public? Punting, Nesirky said that is entirely up to the Council. So much for leadership on transparency. Nesirky also refused again to state whether Ban's envoy to Libya al-Khatib is a UN staff member, an Under Secretary General, or to confirm that he is still paid -- in seeming violation of the UN Charter -- by the government of Jordan, a country which has not yet notified under Resolution 1973 despite UK claims. UNITED NATIONS, March 22, updated -- The United Arab Emirates, Norway, Spain, Ukraine and Belgium have provided notification to the UN they intend to take action in Libya under Security Council Resolution 1973, Inner City Press is reliably informed. While Resolution 1973 requires countries taking action on Libya to give prior notification to Secretary General Ban Ki-moon, Ban's spokesman Martin Nesirky did not answer repeated e-mail requests in the days after the resolution passed for a list of notifying countries. Even at the noon briefing of March 21, he did not have the list. Since the UN's involvement in the military campaign in and over Libya is one of its attractions for some, it would seem the UN should more quickly and transparently disclose the notifications to the public, and describe the “coordinating” role assigned to Ban Ki-moon in Resolution 1973. The Security Council Affairs unit worked hard over the weekend, but they are not the Spokesperson. They have not yet set up their own web site to make disclosures. But the Spokesperson's Office is lagging behind. Inner City Press can now report that Spain, Norway, UAE, Ukraine and Belgium have provided notifications to the UN under Resolution 1973. There -- was that so hard? Update 1: to his credit, UK Permanent Representative Mark Lyall Grant rattled off the twelve names (the seven named yesterday, and five coming after.) This was confirmed by another P-5 country. A non permanent member's Permanent Representative was amazed that the names are not better made public. Update 2: regarding Ukraine, it's worth nothing that it took weeks for Ukraine's parliament to authorized attack helicopters for the UN Mission in Cote d'Ivoire, leading to the question: how fast can or will Ukraine move after giving notice? Inner City Press has suggested to a P-5 Council member that a sign board be erected in front of the Council with the number -- and names -- of Libya notifiers under Resolution 1973. "Good idea," the P-5 representative said. But will it happen? Footnotes: one reason for the dysfunctional relationship between the Spokesperson's Office and Security Council Affairs is that the Spokesman was ejected from Council consultations, and did little more to oppose this than a conciliatory and ineffective letter from Ban's chief of staff Vijay Nambiar. Now when Security Council Affairs gets information of global interest, the Spokesperson's Office does not report it in anything like real time. Thus the UN decays. Watch this site.